One of the first considerations of every infantry officer was inspection of the feet of the men in his command. The ground was polluted with pus and decay. A slight abrasion of the foot and almost anything could happen. 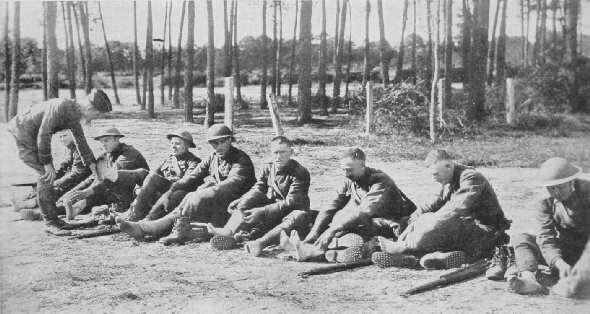 Co. B, 101st Inf., 26th Div., in "Rest Billet" between Mouilly and St. Remy, Sept. 17, after 10 days of continuous fighting. 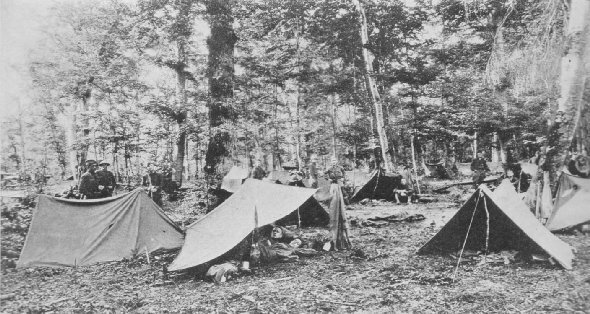 The boys left the next day to conduct raids east of the Meuse in preparation for the Meuse-Argonne.